As many Breath of the Wild players know, there is no standard in game way to max out both your hearts and stamina at the same time. 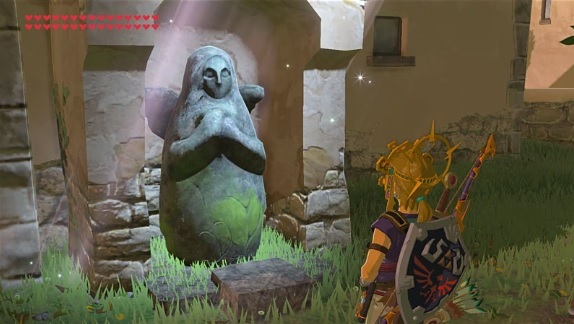 Due to the number of shrines present there and the number of Spirit Orbs needed to gain one from a Goddess Statue (120 and 4 respectively), you’ll always be at least four short of maxing out both meters if you merely play through the game normally and take down every shrine. Fortunately though, that’s now all changed! Yep, thanks to a new glitch that’s been discovered in the game, it is now indeed possible to max out both your hearts and stamina at the same time, assuming you’re willing to put a bit of effort in. So in this guide, we’ll be explaining how to use it to max out both meters at the same time, no hacks needed! 3. The Horned Statue at Hateno Village. It’s best to save next to this thing, it’ll save a lot of time overall. 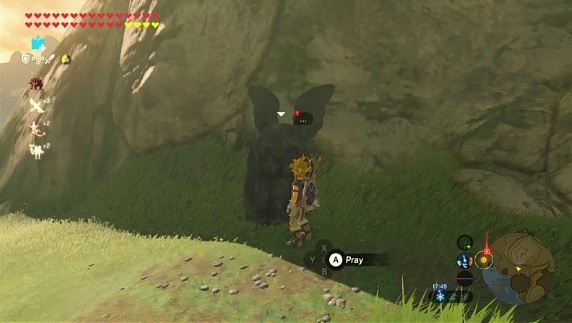 Once you’re ready, head to the Horned Statue near Hateno Village. Save next to it. Now, go to the nearest Goddess Statue, and upgrade your health or stamina to their maximum level. Doesn’t matter which you upgrade, any will do. Now, head to the Apparatus shrine you’re using. Inside, you’ll want to stop fairly close to the terminal that activates the motion control section. 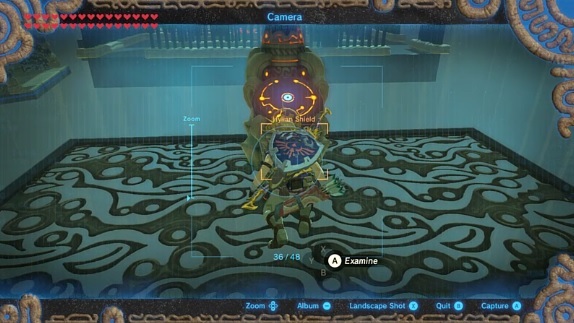 Once you’ve done this, hold ZL to keep your shield out, then press L and the left analogue stick to take out the camera and crouch at the same time. Next, press X and a direction at the same time. If done correctly, you should activate a glitch where you can walk around in ‘selfie mode’ with the camera rune active. Head up to the terminal and press A. The game will take a snapshot and try and activate the terminal at the same time. So delete the picture, then quickly pause the game. 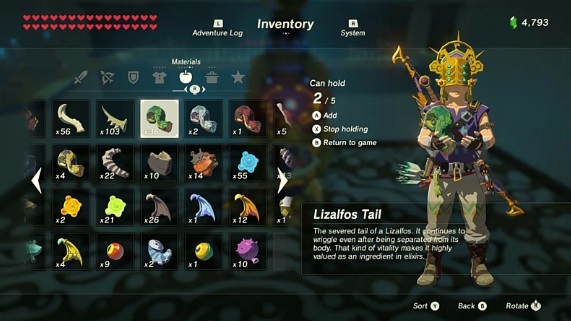 Make Link hold at least one item. Unpause the game, then immediately pause it again. 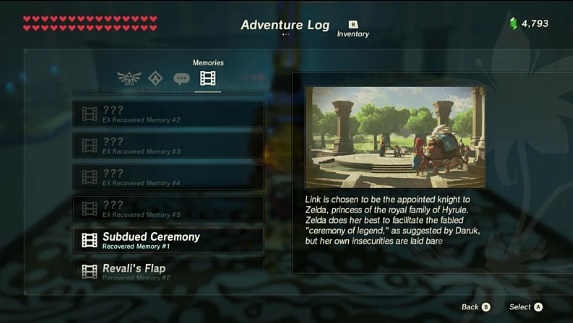 Once back in the memory, head to the memories section of the Adventure Log. Here you want to select a memory. Note how it doesn’t actually play when you select it? Yeah, that’s normal. Get out of the pause screen, and you should be able to move around, while also moving the apparatus with the gyro controls at the same time. 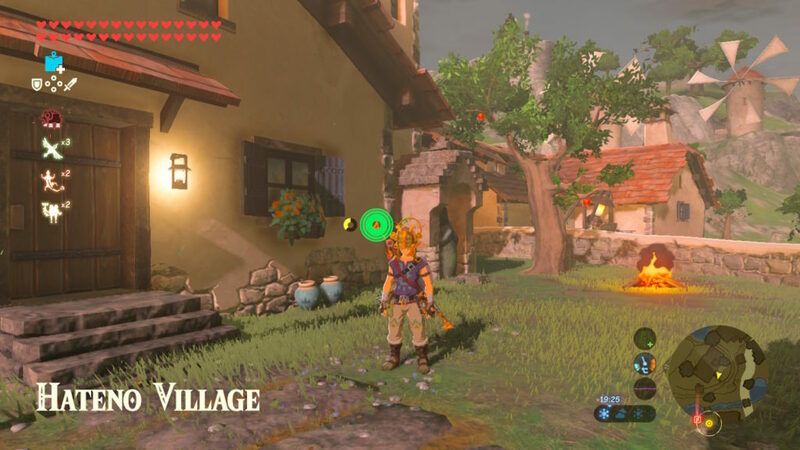 There are various funny things you can do this in this state, but for now, you’ll want to go back to the menu and load the save file where Link is standing in front of the horned statue. Notice anything weird? Yeah, Link has all the hearts/stamina from his future save, except it hasn’t really happened yet. That’s because the Apparatus Storage glitch basically carries your condition back and forward through time (so to speak), meaning you can have more or less hearts/stamina than you’re meant to, potion effects from different points and the weather/temperature conditions of the shrine you activated the glitch in. Apparatus Storage is basically using time travel to transfer your hearts and stamina back in time or forward to a new world. 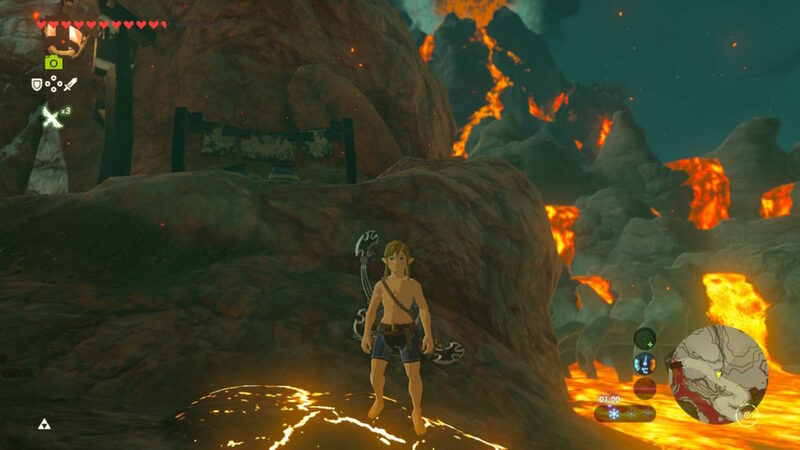 Hey Link, aren’t you supposed to be on fire right now? You also screw up the physics, since the game seems to think you’re in a shrine. This means using the Paraglider… well it’ll cause you to drop like a rock. 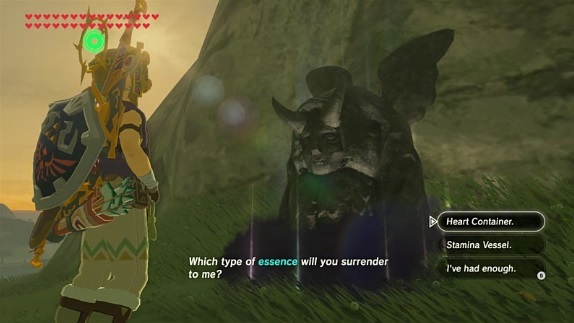 Regardless, trade your newfound hearts to the statue for rupees. And then save/reload the game. You’ll be back to your standard hearts/stamina again. Then buy back the hearts/stamina you traded to the statue. Voila, you now have max hearts and stamina at the same time, as well as a nice collection of Spirit Orbs you’ll never be able to use again. As well as extra help on how to do it on either the normal Breath of the Wild Discord server or the speedrunning one. So thanks to Twitter user Bot__w for finding Apparatus Storage, and thanks to yui_freeze for figuring it could be used to get infinite stamina. Thanks to you too, the biggest visual annoyance in the game is now fixed, and those of us who like completing our games will finally be able to mark Breath of the Wild as 100% done. For anyone else here, maybe tell us what you think of this new glitch. Are you happy you can now max out both your hearts and stamina? Do you want to know more about Apparatus Storage and how it breaks the game wide open? Tell us your thoughts in a comment below or over on social media sites today!